The Hundred-Foot Journey is one of those manipulative feasts your grandma would fix to guarantee your love and devotion. With a picture postcard setting, solid acting, and detailed attention to food, it’s a film to be relished. As a meal, it may not earn a Michelin star – there are really no surprises here – but no one’s going to send Grandma’s meal back, are we? It’s the type of feel-good cinema one could share with all the other classics of a family meal – predictable but still craved for. Dayal is a brilliant cook lovingly taught by his mother in the mean streets of Mumbai. When violence overtakes the city, Dayal’s father, the wonderful Puri, sends his family skipping around Europe. 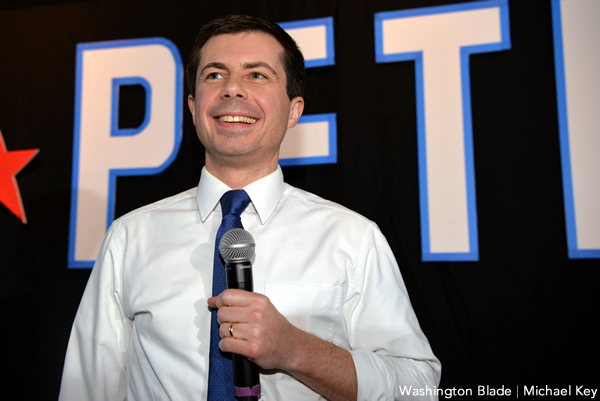 Puri’s goal is to find a new, more peaceful place to build a restaurant. The family settles on a quaint little village in France. The building they want just happens to be across the road from a venerated traditional restaurant owned by the steely Mirren. Swedish director Lasse Hallström (here with Helen Mirren) is the right man for this confection. The journey – that hundred feet mentioned in the title – is the space between the two restaurants, their cuisine, and the disparate cultures of India and France. The filmmakers truly believe we should take this trip because Dayal is a determined young man. His talent can win so many people over, starting with cold, stoic Mirren. She’s intent on getting her second Michelin star, and she certainly believes that having a loud, spicy Indian joint across the road won’t help. 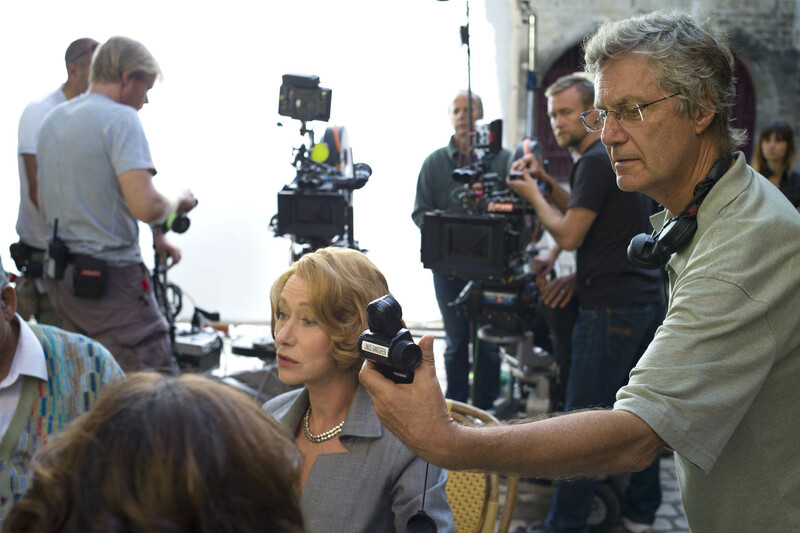 Lasse Hallström,who showed the same shrewdness in the 2000 film Chocolat, directs The Hundred-Foot Journey. Producers Oprah Winfrey and Steven Spielberg picked the right man to bring this emotional novel to life. It’s the same care Swede Hallström brought to My Life as a Dog (1985) and The Cider House Rules (1999). Of course, the setting is charming, the sort of cute village you’d brag about after vacation. Many scenes are shot at dawn and twilight to make use of the golden light. There’s a lovely river, a lovely market, a lovely square, lovely people – you get the point. This is, in short, wish-fulfillment cinema at its finest. In that sense, everyone knows that it ain’t groundbreaking. 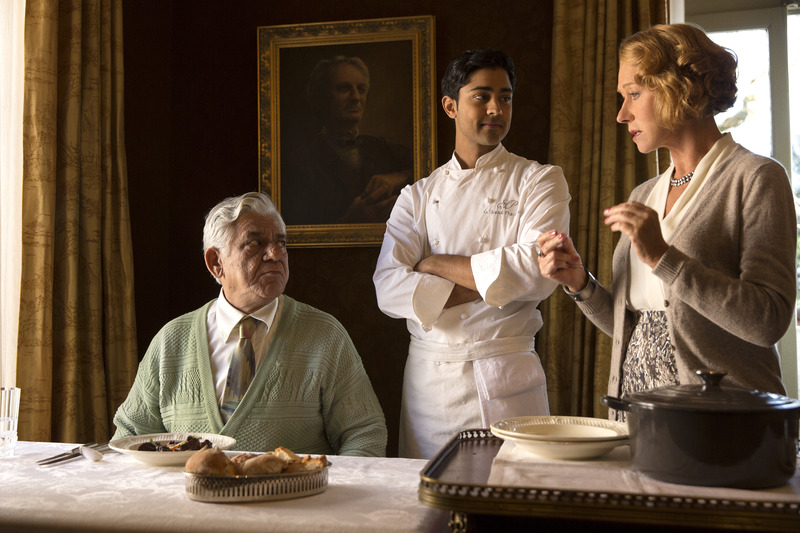 For all the film’s talk about innovation – in this case, combining Indian and French gastronomy – there is really nothing cutting edge in The Hundred-Foot Journey. My guess is that people don’t go see stuff like this to be challenged. Still, actors are given room to fill out characters bordering on stereotype. Mirren is, of course, wonderful. Veteran actor Puri – whom you may recognize from Gandhi and Charlie Wilson’s War – deserves this memorable role as Dayal’s irascible, squirrelly father. Many other characters – the rest of the family – are given just enough space on the plate to add flavor. Normally, I give stuff like this three stars – not Michelins – but I bet no one’s going to hate this film. It’s also pretty to look at. So, pick up your grandmother, wine and dine her at a nice restaurant, and then take her to see this movie. It may not be the most shocking night of either of your lives, but it will still earn you some gold stars with the family.